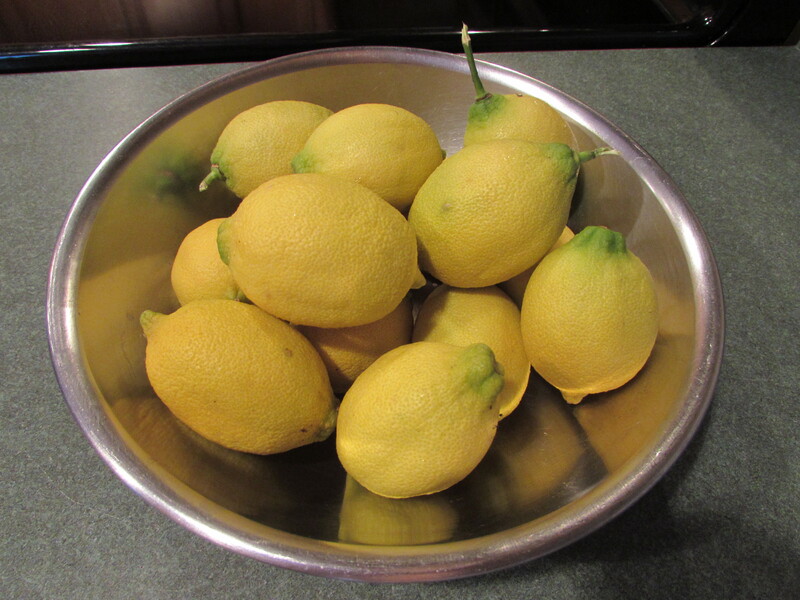 My friend Andie called up 2 weeks ago, to find out whether we would like some lemons from her lemon tree! She had harvested about 40 and wanted to share them with us. We had gone to her house around Christmas for a party and we talked alot that night about plants. She has a serious green thumb and that’s when we were introduced to her Lemon Tree. She grows it out side when the weather is nice (for all that do not know, we are Zone 5, Lemon trees do grow outside for us yearlong) but brings it in when the weather starts to get frosty. 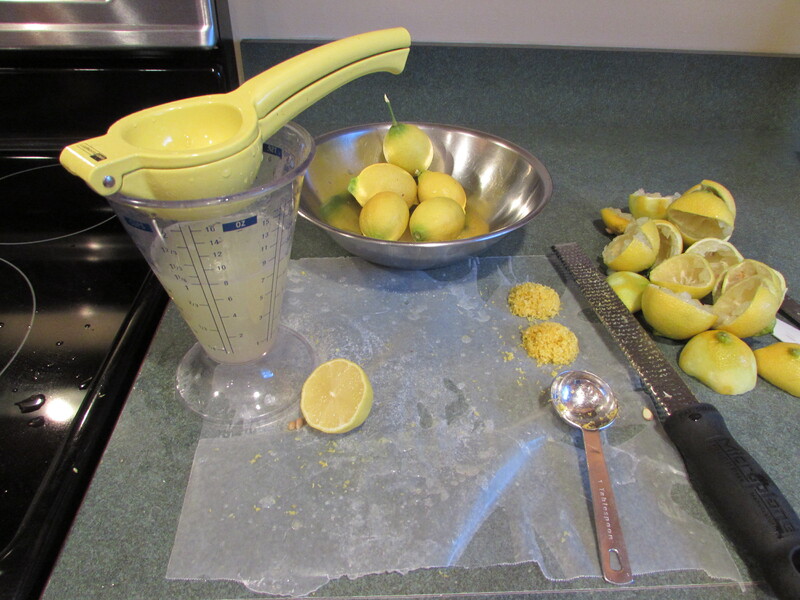 That night she gave us 2 gorgeous lemons to take home (which my husband used in his citrusy drinks)! Anyway, she arrived at our door with a BAG of lemons! They were gorgeous. I thanked her VERY much, showed my husband the bag, and rushed to the computer to find a recipe to use the most lemon juice. 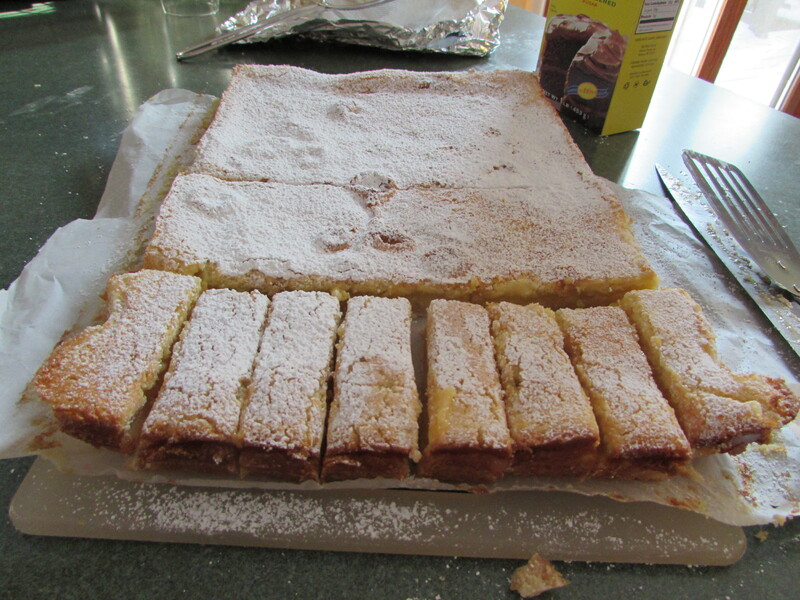 Well Ina Garten came through, and this recipe is the result. I really am more of a chocolate person, put when I tried these, I swooned! 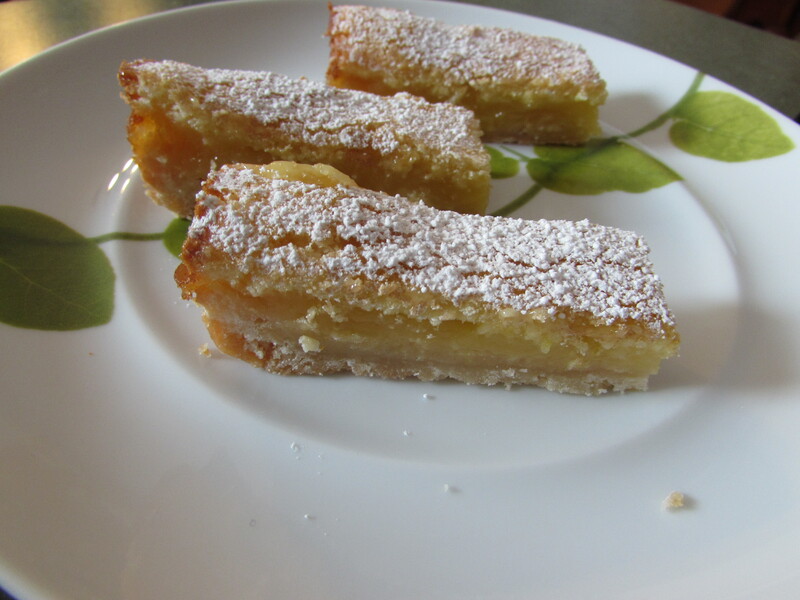 They are the best non-chocolate dessert I have made (except for maybe my Pineapple Upside Down Cake). Enjoy and share! they make quite a lot. This recipe is at it’s best when refrigerated overnight. See below. 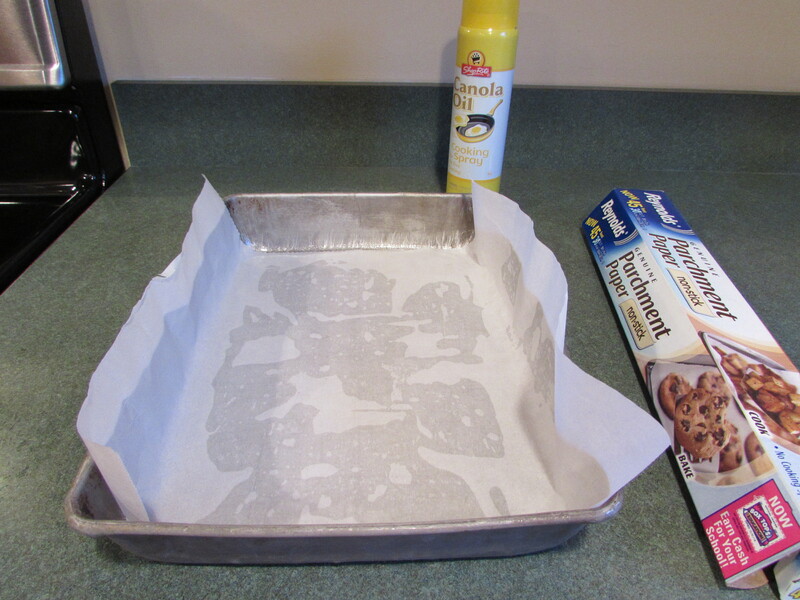 Prepare pan: spray 9 x 13 inch baking pan with canola oil spray, then place a sheet of parchment in pan, with about 2-3 inches of parchment hanging over sides of pan (see pictures below). Spray parchment with canola oil. This was not in the directions from Ina but in the comments from the recipe. I did it the first time and was extremely happy I did. The bars would have definitely stuck to the pan. 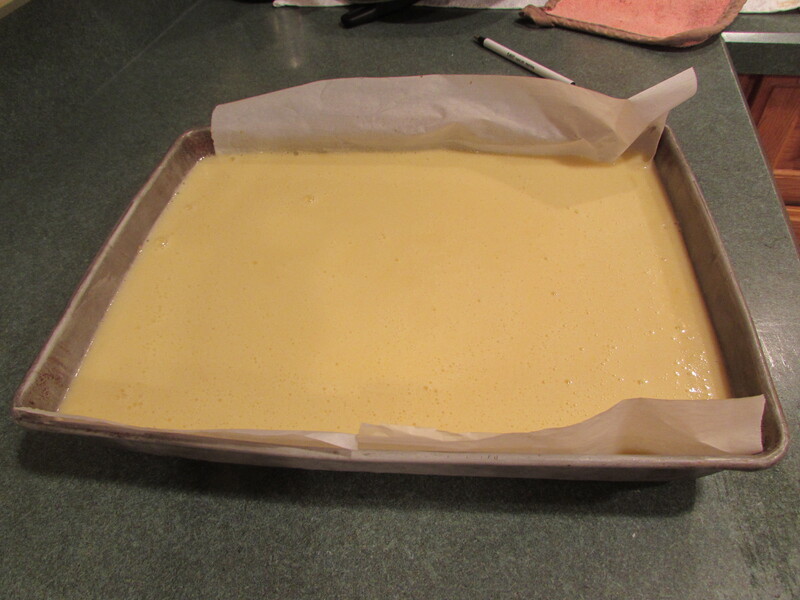 For the crust, cream butter and sugar together thoroughly, in the bowl of an electric mixer with a paddle attachment. 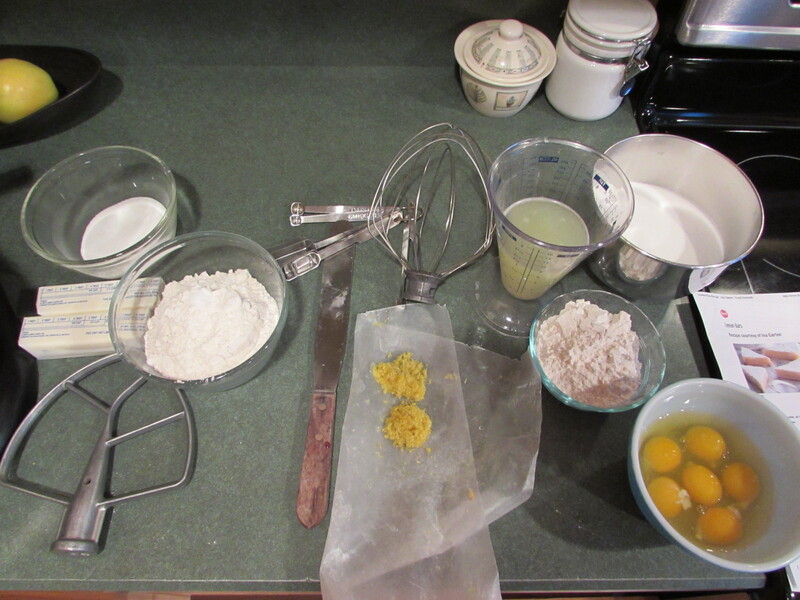 Combine flour and salt and with mixer on low, add to butter mixture until just combined. 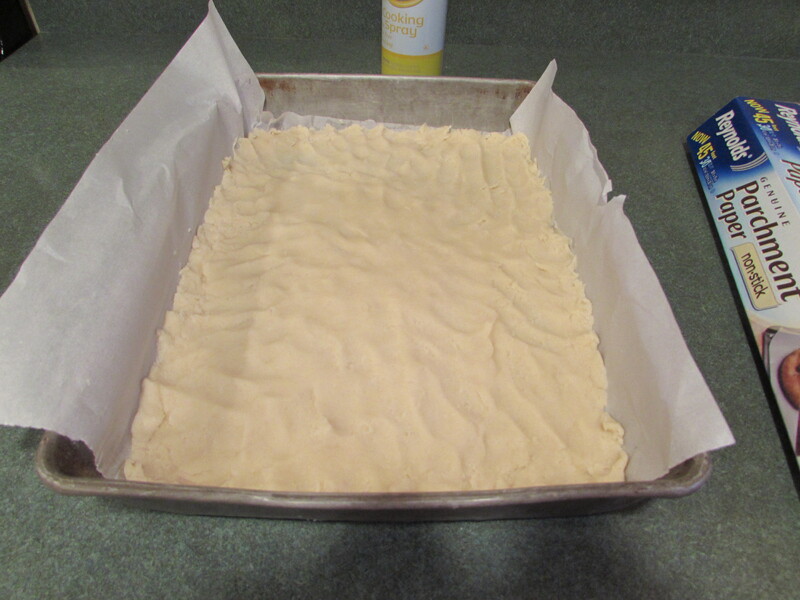 Put evenly spaced blobs of crust mixture onto prepared pan and press dough into baking pan, coming up the sides of the pan slightly (I did not put blobs on the pan the first time and took a long time to spread the crust dough into the pan evenly. I will definitely be trying the blob method the second time). Chill for 1/2 hour. After 1/2 hour of chilling, bake crust for 15-20 minutes, until very lightly browned. Let cool for 10 minutes on wire rack. The next day, when ready to serve, take a regular knife, and go around the edge of the pan, releasing any crust that may be sticking to the sides of the pan. 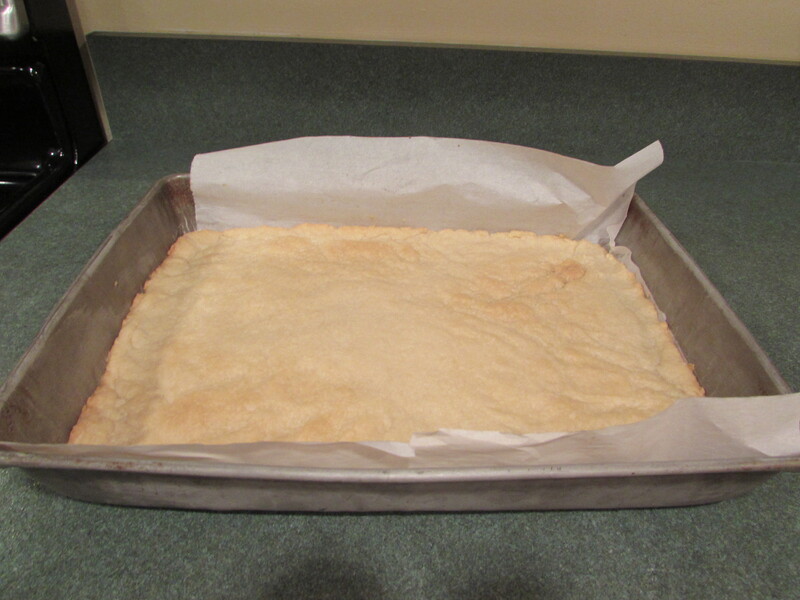 Lift the cookies out of the pan using the parchment “handles” and place on a cutting board. Carefully peel away the parchment from the edges. 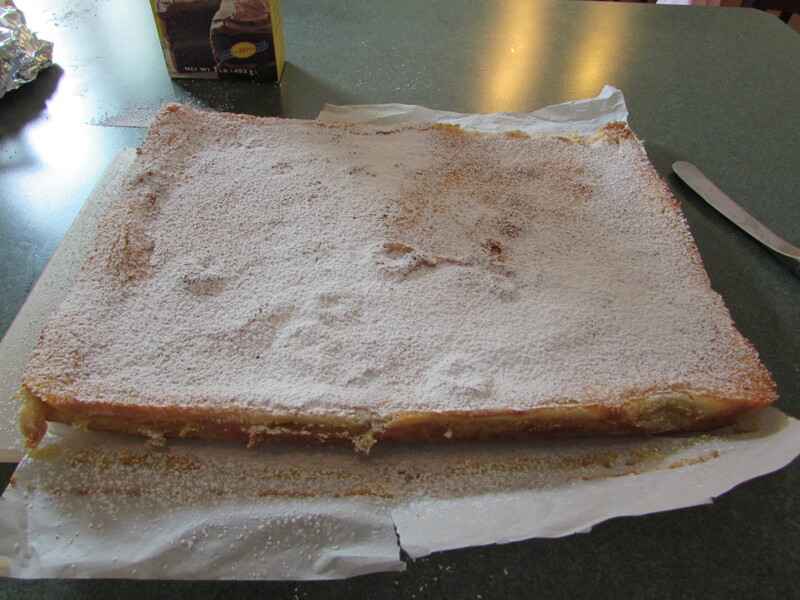 Dust bars pretty heavily with confectioners sugar and cut bars to desired size with a very sharp, large knife. My mouth is watering just looking at the photos! Can’t wait to make this!!! !